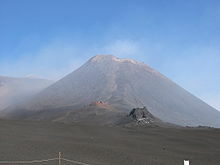 ^ This article incorporates public domain material from the United States Geological Survey document: "Principal Types of Volcanoes". Retrieved 2009-01-19. ^ a b c d e f g h i j k l m This article incorporates public domain material from the United States Geological Survey document: Kious, W. Jacquelyne; Tilling, Robert I. "Plate tectonics and people". This page was last edited on 26 April 2019, at 04:15 (UTC).